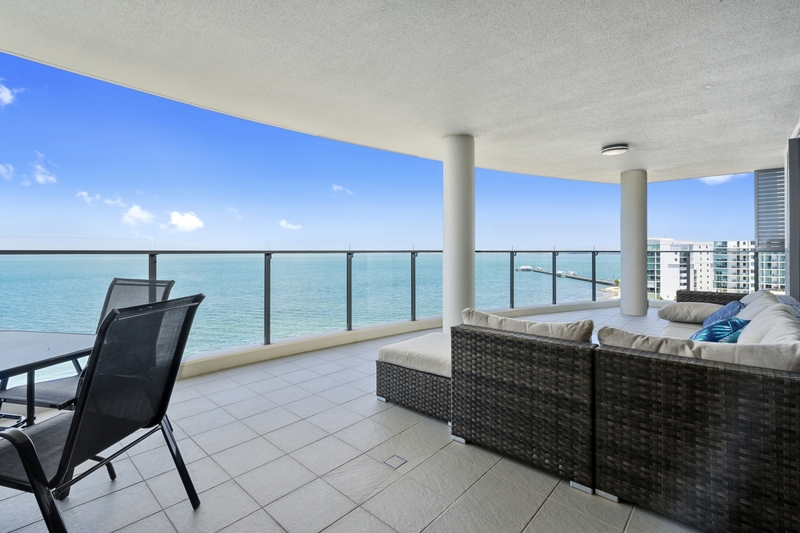 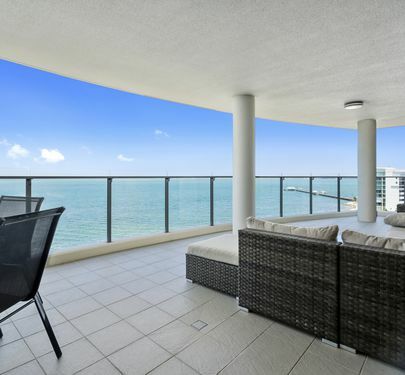 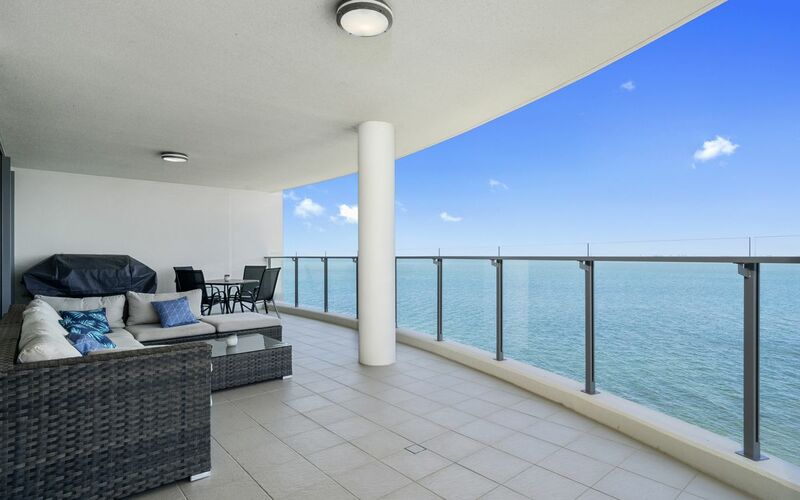 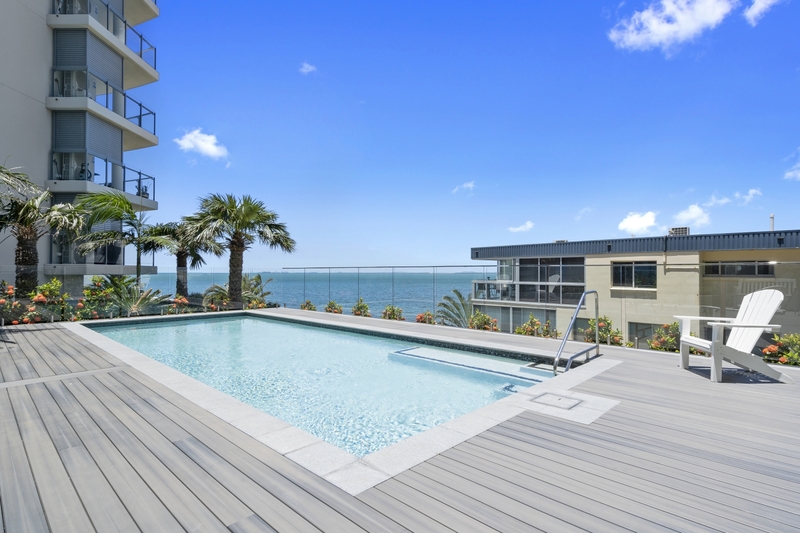 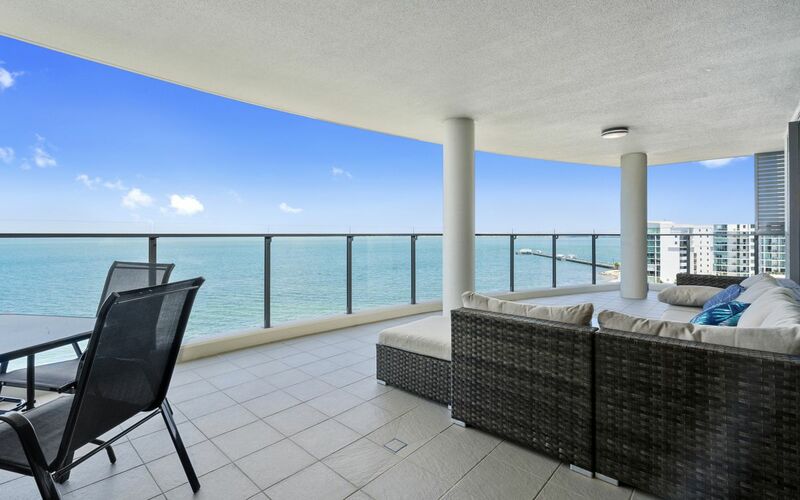 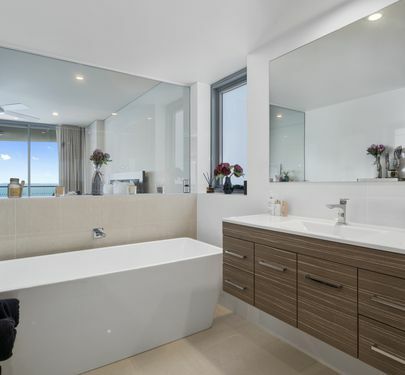 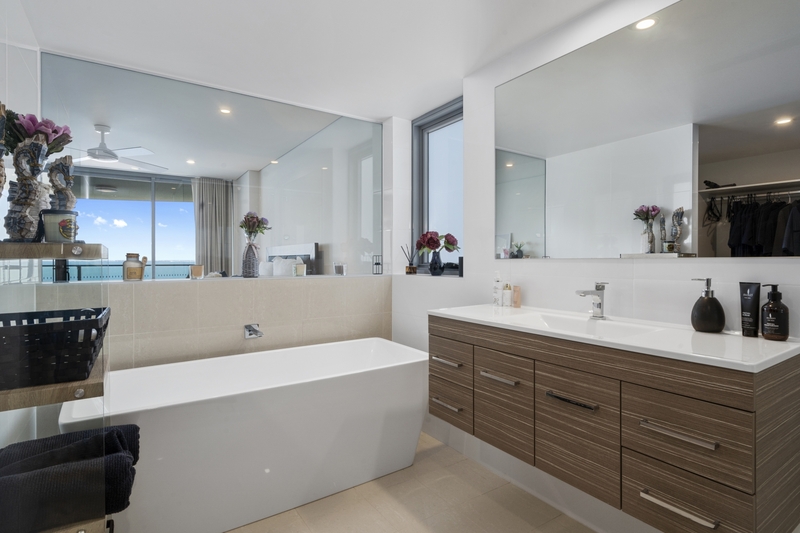 The views from this Sub Penthouse balcony are spectacular and would have to be among the best from any property alongside Moreton Bay. 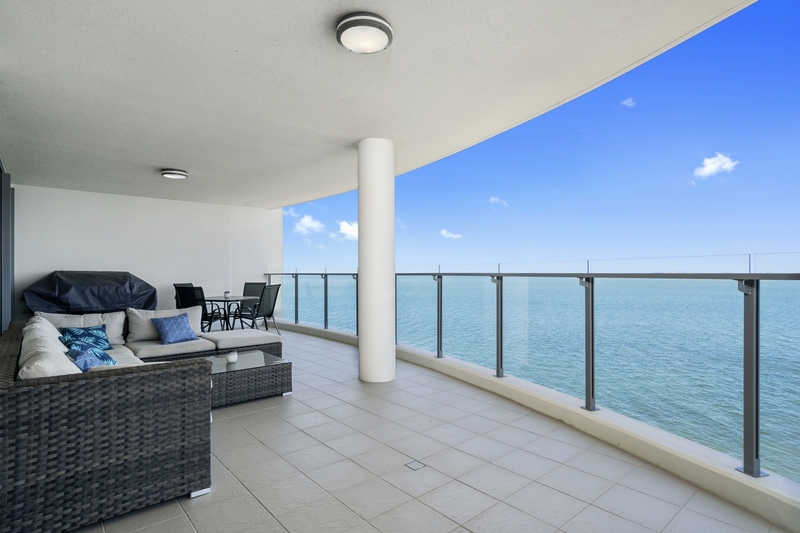 As the building is absolute water front, the waves can be heard lapping below giving a beautiful ambience. 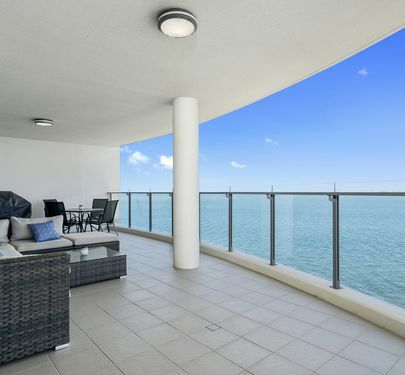 The views cannot ever be interrupted and are excellent for ship spotting, city lights and marine wildlife. 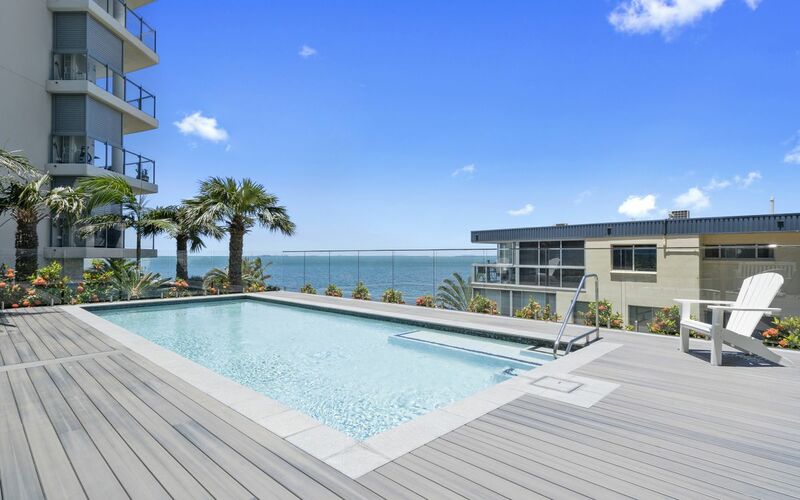 The Woody Point jetty just meters away is considered to be one of the best viewing spots in the world to witness the beautiful sunsets. 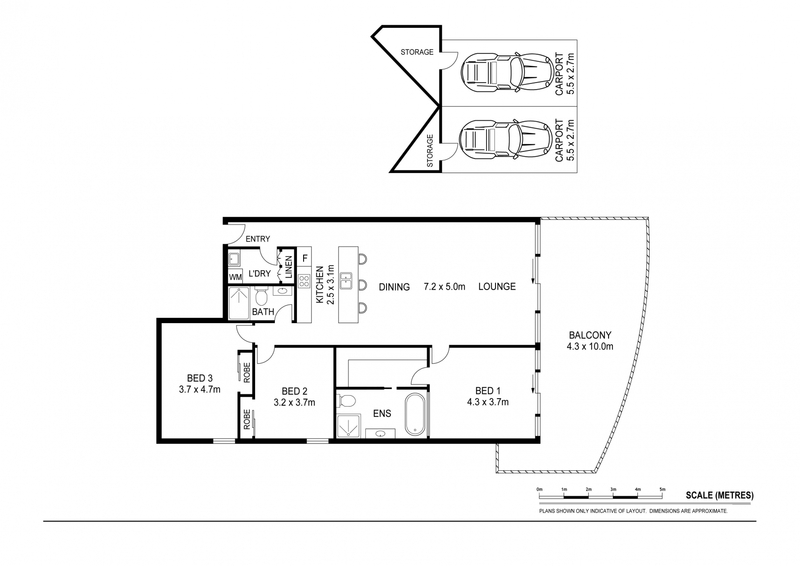 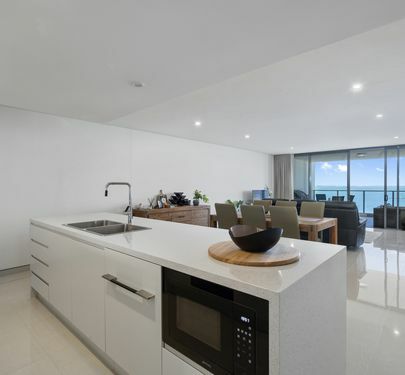 Located on level 8 of Waters Edge, facing south-east, this 3 bedroom unit covers 173 sqm. 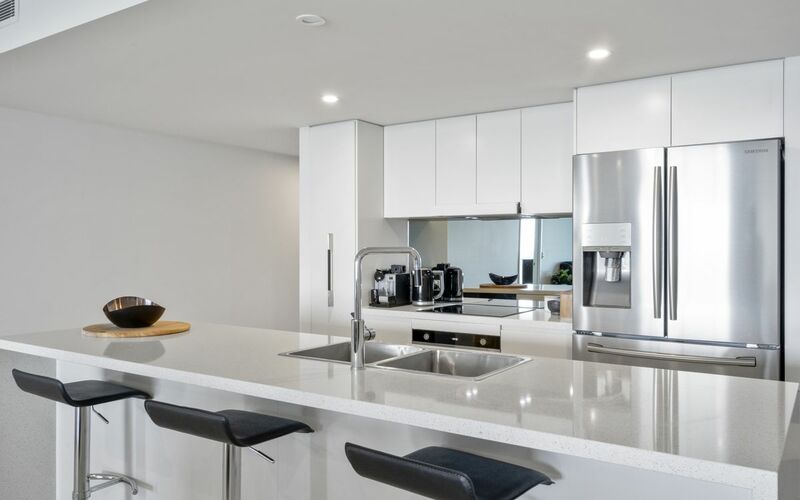 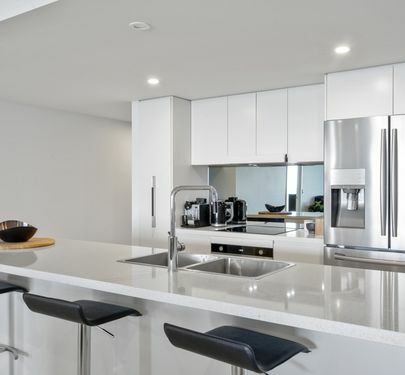 The kitchen offers generous bench space, Smeg appliances including microwave & induction cook-top and ample storage space in cupboards and pull-out-pantry. 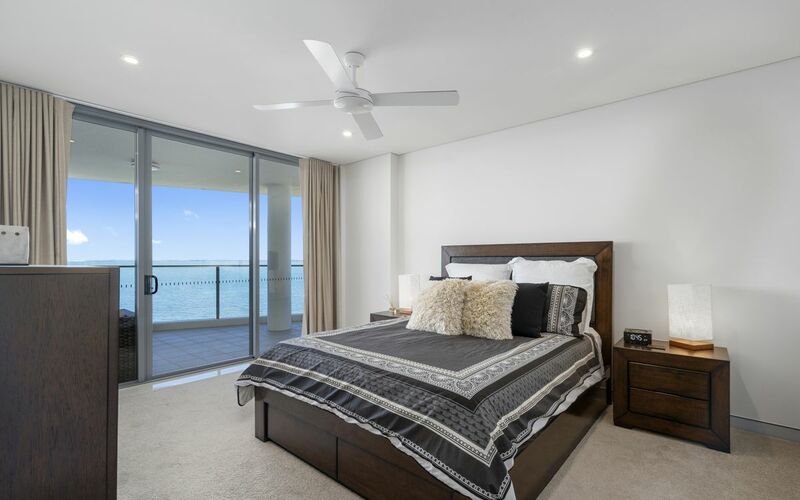 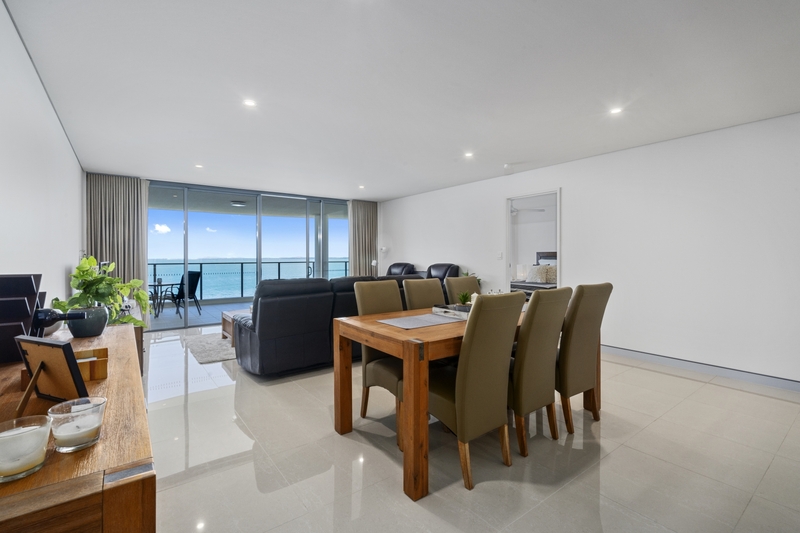 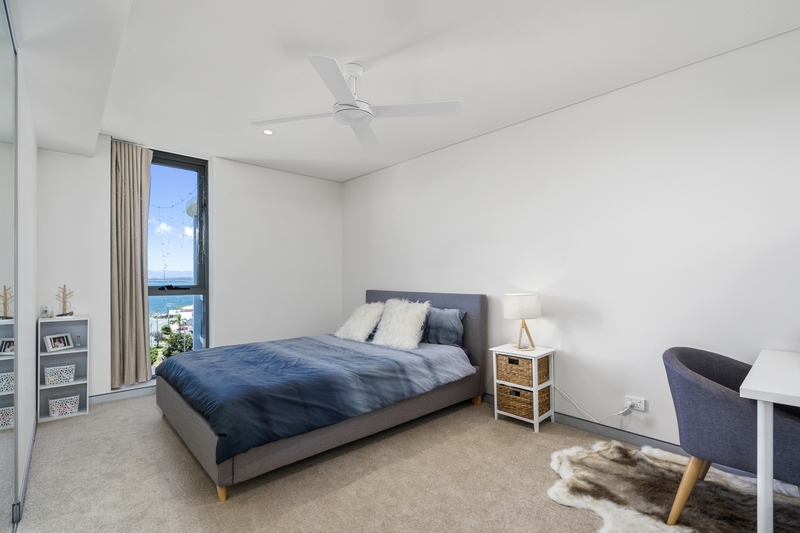 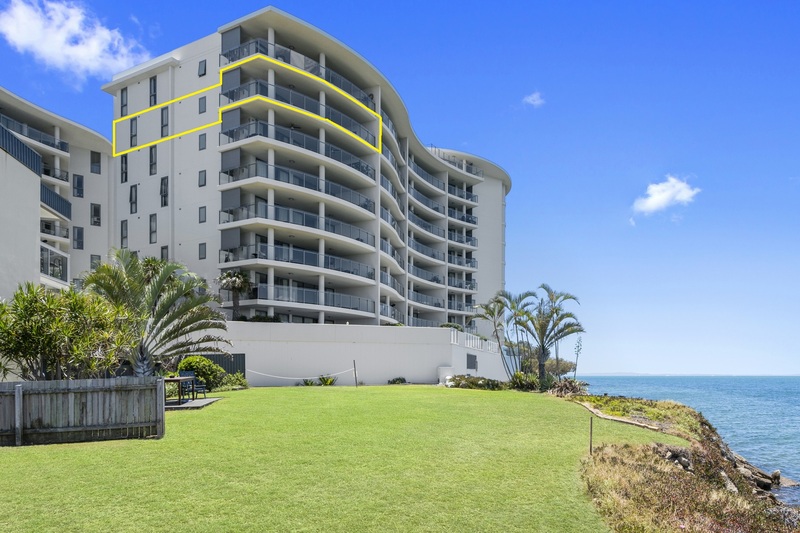 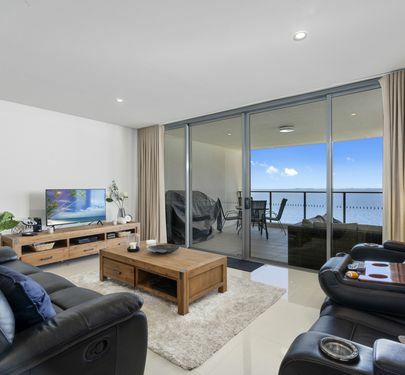 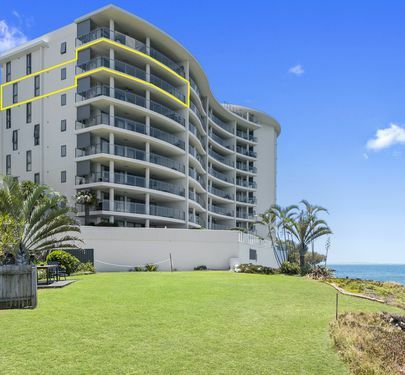 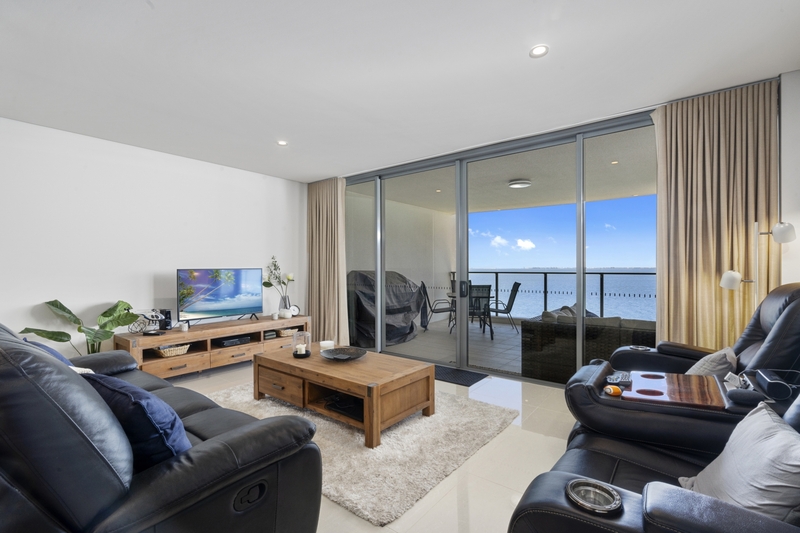 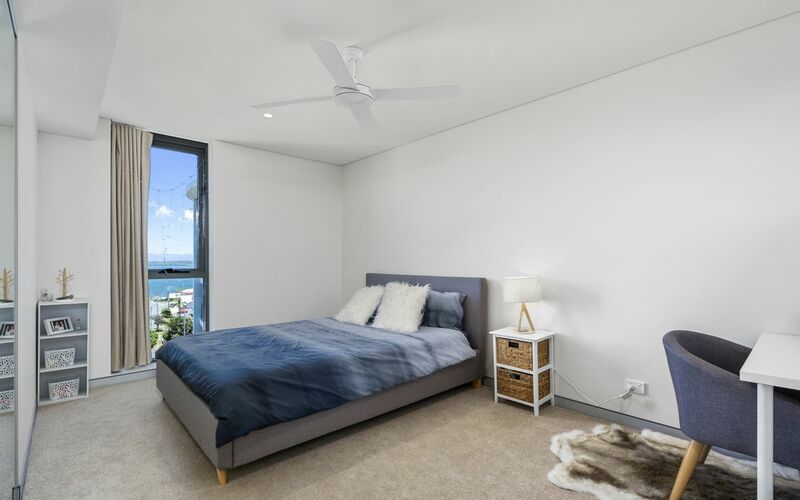 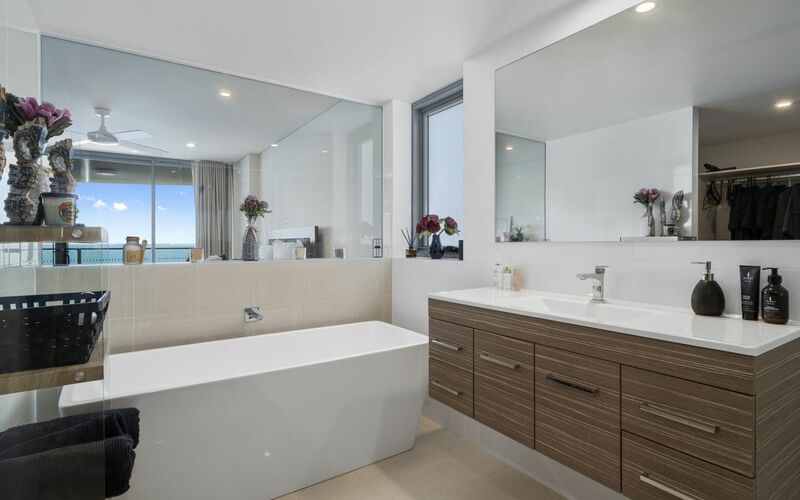 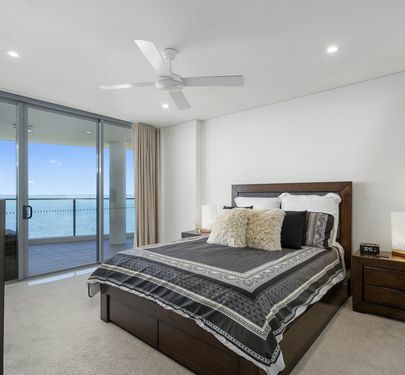 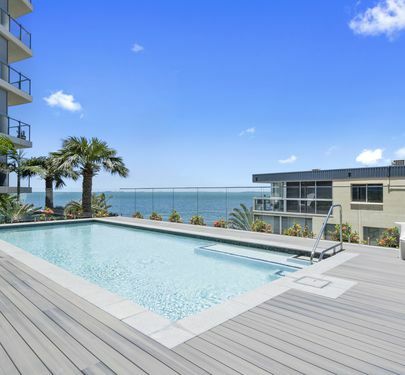 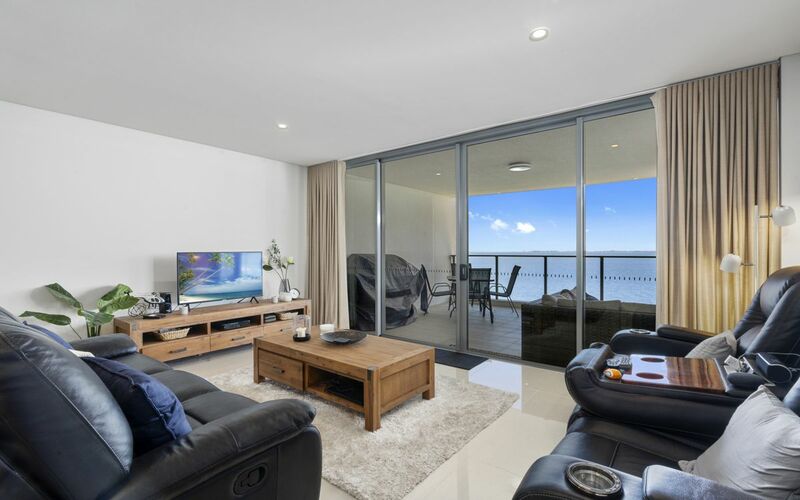 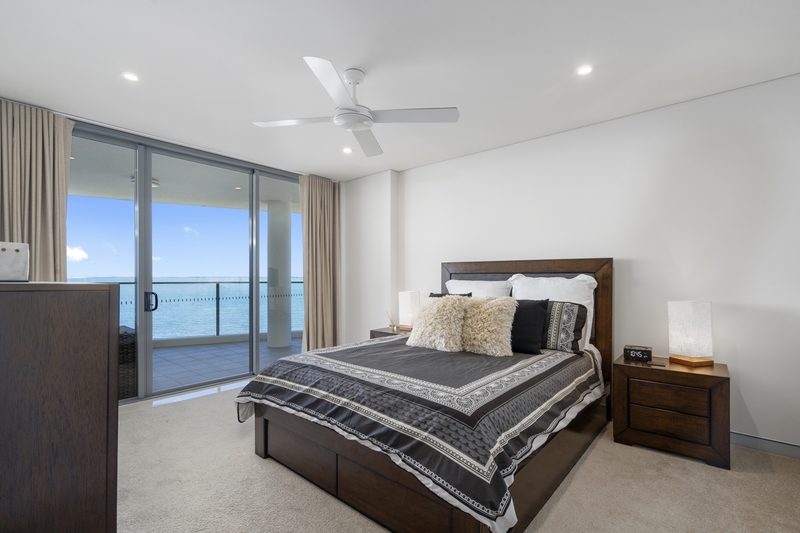 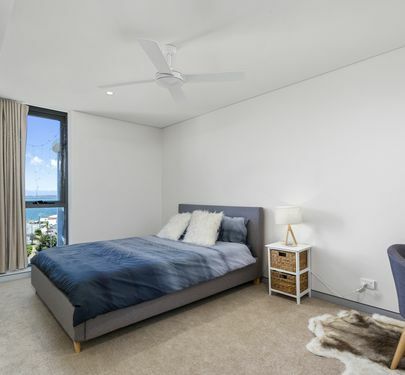 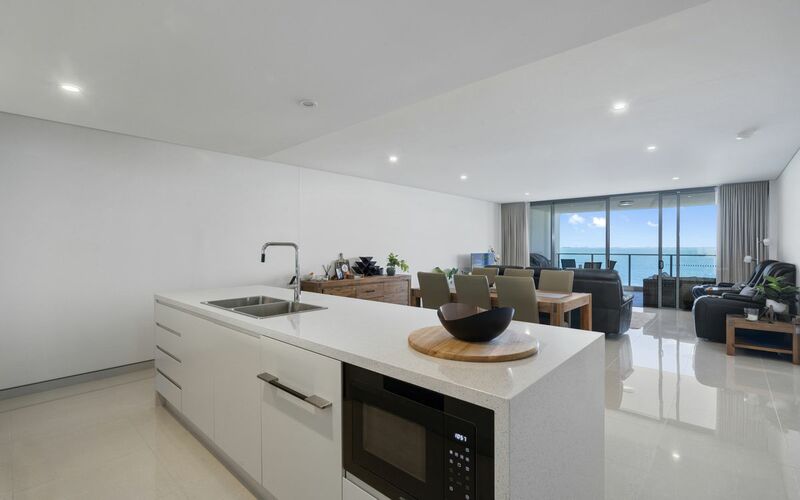 From the open plan dining / living room area you can enjoy the vast water views over Moreton Bay towards Fisherman Island and the City and you have access to the sizable balcony. 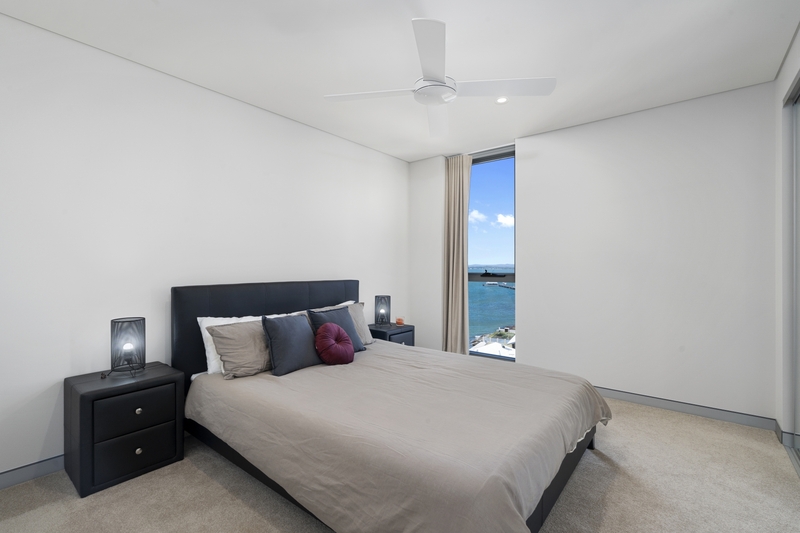 The master bedroom can take a king size bed without problem and has also direct access to the balcony. 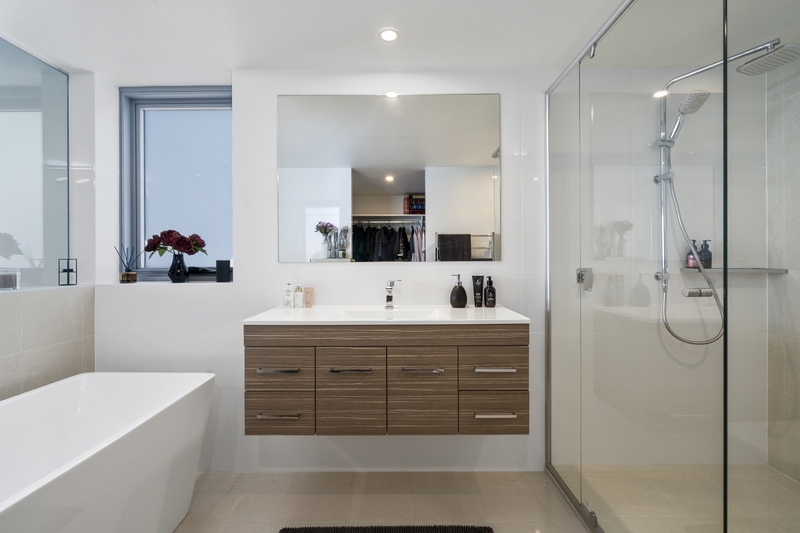 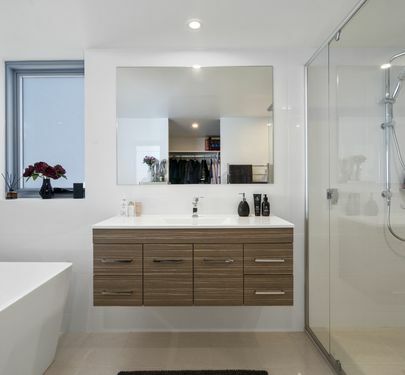 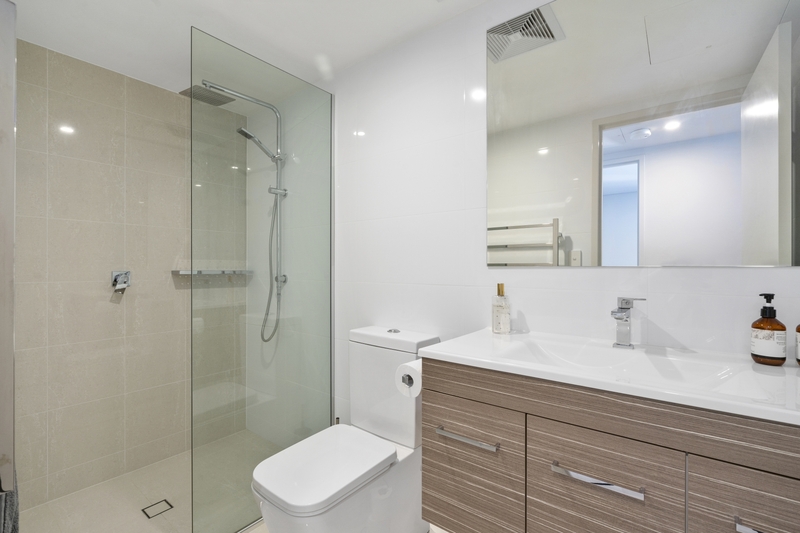 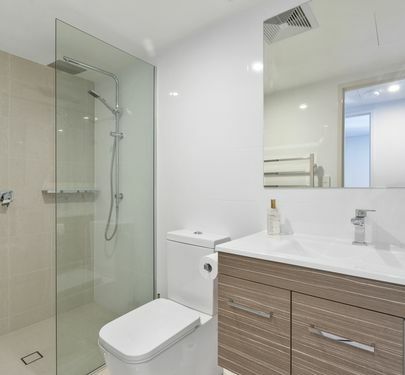 The fitted out walk-in-robe leads you to a modern ensuite with a luxury free standing bath tub and roomy shower. 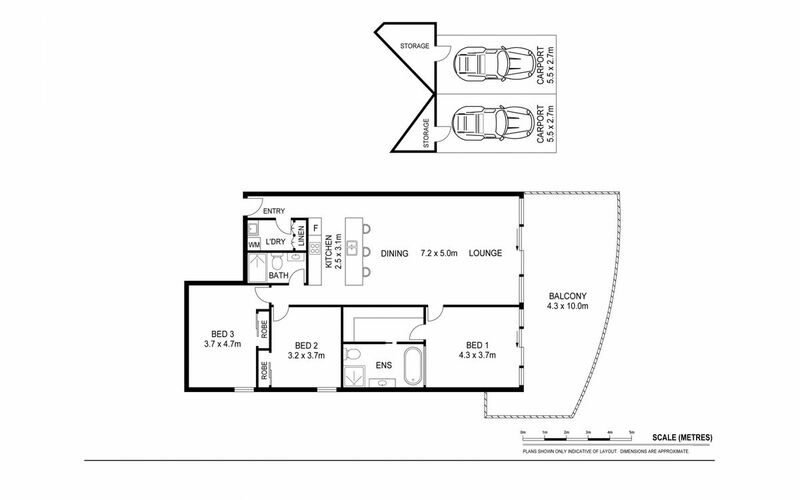 Two more bedrooms with built-ins and second bathroom complete the picture. 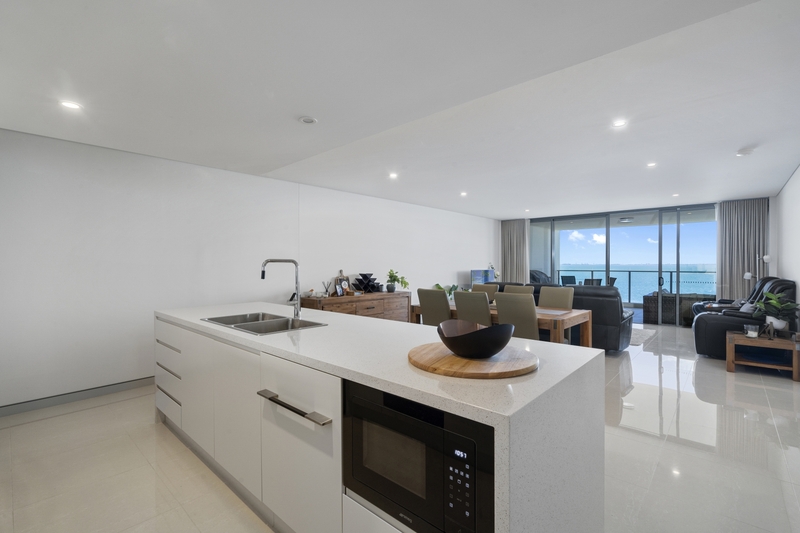 There is space for your washing machine in the separate laundry with the dryer already provided for you. 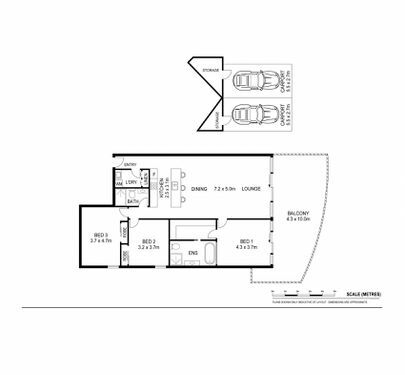 In the secure basement you have 2 side-by-side car spaces and two lockable storage areas. 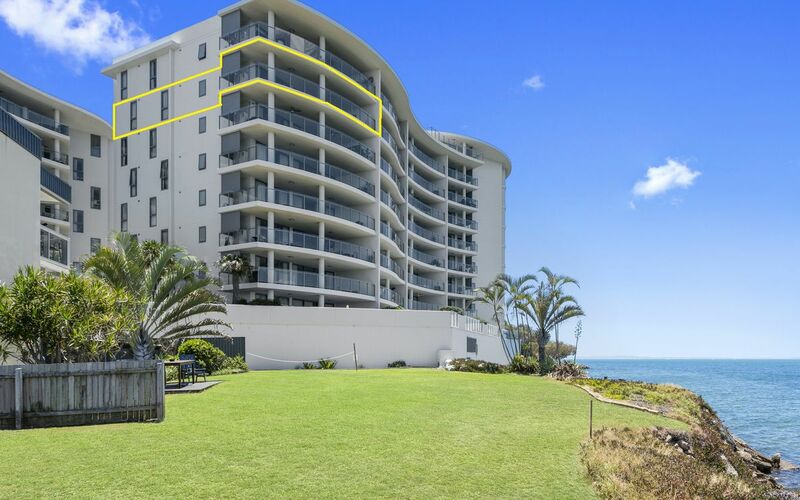 There are beautiful walking and cycling paths that follow the Moreton Bay beachfront in either direction. 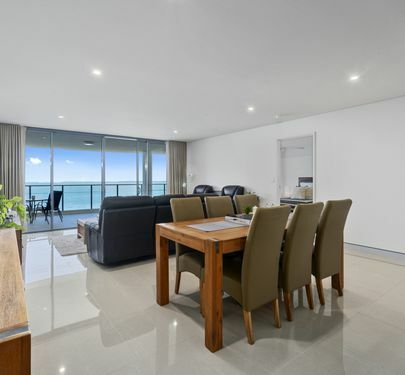 Great cafes, restaurants, village shopping with doctor, pharmacy, post office and hotels are all within close walking distance. 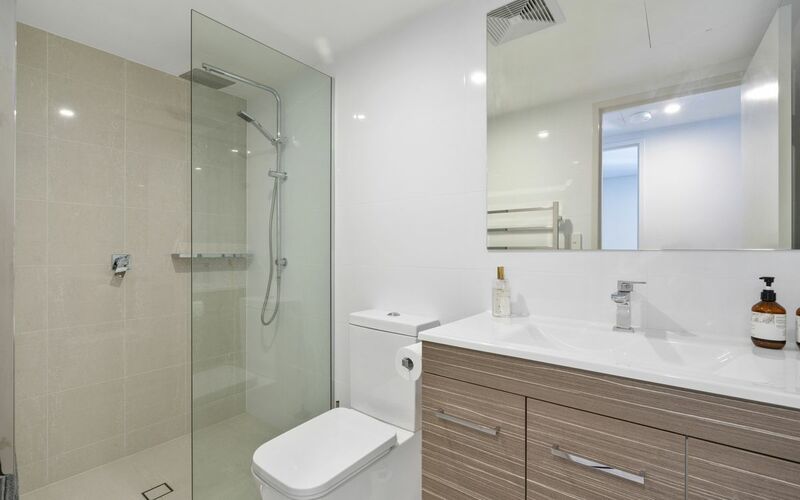 A bus stop with direct transit to and from Brisbane CBD is a 5 minute walk from the complex. 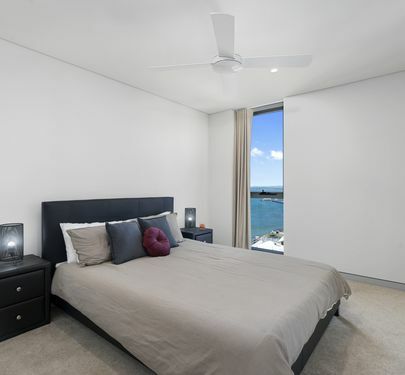 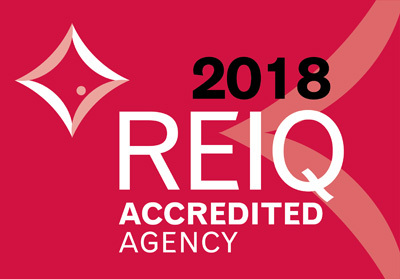 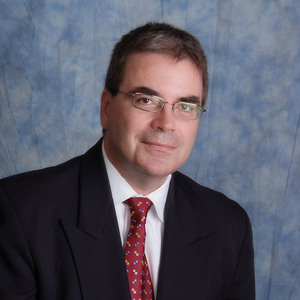 For your private inspection call Karl on 0424003253.